Taiwan is expanding its ties to mainland China, boosting its own economic prowess. Taiwan’s economic ties to China are likely to continue to expand and deepen, no matter the outcome of the January 14, 2012, Taiwanese presidential and parliamentary elections. 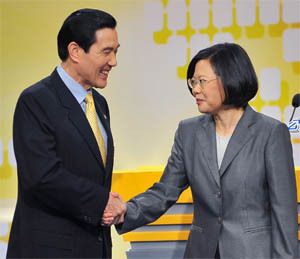 Since president Ma Ying-jeou of the Kuomintang party took office in 2008, improved relations with China have boosted Taiwan’s economic outlook. Companies based on the island are expanding their range of services to support a rise in cross-border investments. “Besides the continuing flow of China-bound investment, we expect to see more mainland Chinese M&A; interest in Taiwan,” says Damian Gilhawley, senior business development manager at PwC Taiwan. The accounting and consulting firm says it has received a growing number of inquiries in the past two years from Chinese companies about potential investments. “These will hopefully be converted this year into actual M&A; transactions,” Gilhawley says. Earlier this year, Taiwan’s ministry of economic affairs announced that 42 new categories would be opened to investment from China, including 25 in manufacturing, eight in services and nine in infrastructure. Ten manufacturing industries, including wind-power equipment and batteries, will be opened completely, as will amusement and theme parks. Meanwhile, the huge consumer market in China is attracting Taiwanese companies, such as Shin Kong Mitsukoshi, a department store that has had such success in Beijing that it is expanding to Chengdu, Suzhou and other cities in China. Taiwan is China’s biggest source of foreign investment. The common business model is for companies in Taiwan to move their manufacturing operations to China, where costs are lower, and to keep their design and administrative personnel on the island. The signing of the landmark Economic Cooperation Framework Agreement in June 2010 between Taipei and Beijing has given an additional boost to business activity across the Taiwan Strait, according to PwC. The agreement aims to substantially reduce tariffs and trade barriers. In June 2011, Taiwan for the first time began allowing mainland Chinese to visit the island on their own, outside of tour groups. Since 2008, when direct flights began, more than 3 million Chinese have come to Taiwan to see and experience what is considered to be a more traditional Chinese culture, with temple fairs, folk beliefs and festivals. These cross-strait tourists have already pumped nearly $4 billion into the Taiwan economy. The growing economic importance of relations with China may have played a role in the opposition Democratic Progressive Party’s selection of Tsai Ing-wen, who is an expert on policy toward the mainland, as its candidate for the presidential election in January. Tsai, the first woman to be nominated as a presidential candidate in Taiwan’s history, has called for trade links with China to be developed in balance with its links to the rest of the world. Even if the DPP wins the election, the Taiwan-China relationship might stall for a while, but there will be no fundamental break, according to Robert Sutter, visiting professor of Asian studies at George Washington University in Washington, DC. “Taiwan doesn’t want to spend money on defense, and it doesn’t want to lose out on the economic advantages of dealing with China,” Sutter told a conference in August on the future of US-Taiwan relations. “This pattern of growing ties between China and Taiwan is fully supported by the United States,” he said. As Taiwan becomes more economically dependent on China, however, its freedom of action could become more limited, Sutter warned. “Chinese leverage over Taiwan is growing every day,” he said. China claims sovereignty over the island and has threatened to invade if Taipei formally declares independence. The majority of Taiwanese favor continuation of the status quo. Taiwan is an Asian tiger with low inflation. The country’s GDP rose 10.9% in 2010 and is expected to expand by slightly more than 5% this year. Consumer price inflation was less than 1% last year but could climb above 2% this year, reflecting rising costs of imported raw materials. Nevertheless the CPI rate will still be among the lowest in Asia. Taiwan has been somewhat insulated from the rise in global food prices, since its own farmers supply most of the food consumed locally. The central bank took a number of steps last year to curb real estate lending and head off a potential bubble in the property sector. 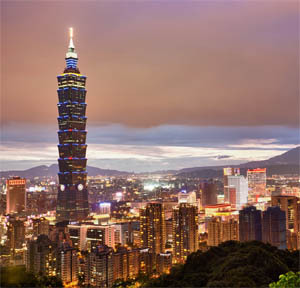 A rising exchange rate for the New Taiwan Dollar has helped to contain imported inflation. The central bank’s policy of gradual and steady rate hikes has been effective in keeping inflation expectations in check. It raised its discount rate by 12.5 basis points (an eighth of a percentage point) to 1.875% at its June 30 meeting, marking its fifth interest rate hike since June 2010. The strong economic outlook for emerging Asian economies is boosting manufacturing demand in Taiwan. The export-dependent economy relies on overseas sales of machinery and equipment, such as textile, woodworking and papermaking machines. In the semiconductor industry, producers of components for smart phones and tablet computers have experienced rising sales and profits recently. Taiwan’s exports surged to a record high in July. The government has encouraged information technology and electronics firms to switch from contract manufacturing to establishing their own brands. Acer, which makes personal computers, servers and storage devices, is perhaps the best-known example of a local firm that has become a global brand. All of Acer’s products are now made by original equipment manufacturers in China. Acer announced in July that it plans to buy California firm iGware for $320 million. The US company specializes in cloud computing and software. Gianfranco Lanci, Acer’s Italian CEO, resigned earlier this year, citing differing views from those of the board over the future of the firm in light of slowing demand for PCs. Acer is trying to expand into smartphones and tablet PCs. “We have to change our business strategy as the PC industry landscape has changed a lot with the rise of tablets and multiple PC operating systems,” says JT Wang, Acer’s chairman, who has taken on the additional role of CEO for the time being. Taiwan’s external financial position is exceptionally strong, and its international reserves are among the highest in the world, according to rating agency Fitch Ratings. 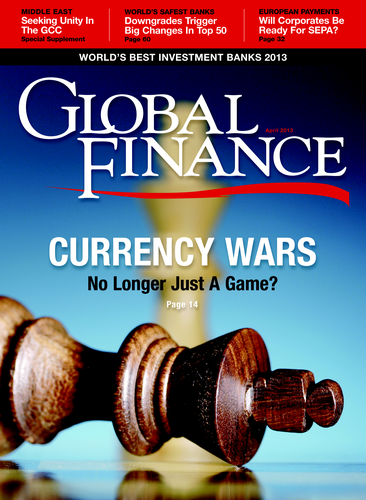 The country must maintain solid reserves and a strong external financial position since it is not a member of the major international financial institutions, including the International Monetary Fund and the World Bank, and must rely on its own foreign currency resources when needed, noted Fitch. Taiwan’s domestic political situation is also stable. There have been no major social or political disruptions in transitions between administrations. “A structural move toward a permanent peaceful relationship between Taiwan and China would have positive implications for Taiwan’s sovereign ratings,” Fitch said. “Hostility in the relationship between them has been substantially alleviated since the current administration took office.” The rating agency cautions that this is not a structural improvement, however, since China could change its stance if a new administration comes to power. "This pattern of growing ties between China and Taiwan is fully supported by the United States"
MSCI, the global equity index provider, has placed Taiwan on review for possible upgrade to developed-market status. MSCI praised it for bringing its securities settlement system more in line with international practices. The privatization of Taiwan’s state-owned industries has been slow, due in part to opposition from labor unions. Nonetheless, the number of companies preparing to list on the Taiwan Stock Exchange is steadily increasing, according to PwC. Last year 20 companies from Singapore, China, Hong Kong and elsewhere made secondary listings on the exchange using Taiwan depositary receipts. Paul Chiu, chairman of Bank Sino-Pac, a leading Taiwanese bank, told a conference in Taipei in August that Taiwan should consider opening a renminbi trading market, given the growing amount of cross-strait trade and the increasing globalization of the Chinese currency. As with the rest of the Taiwanese markets, Taiwan’s financial institutions have an eye on mainland expansion. Taiwan’s banking system weathered the global financial crisis relatively well and enjoys strong liquidity and stable asset quality. The ratio of nonperforming loans for Taiwan’s domestic banks fell to 0.61% in 2010. An expected slow and steady increase in interest rates this year will widen net interest margins. The Kuomintang administration under president Ma Ying-jeou is negotiating with China to allow Taiwanese firms to sell financial products on the mainland. While the liberalization of cross-strait banking is a potential long-term growth catalyst for Taiwan’s banking industry, it is not expected to have an immediate effect on ratings, according to Fitch. “In the near to medium term, any rating implications for Taiwanese banks in connection with China are more likely to be negative rather than positive, as potential long-term benefits may be outweighed by risks involved, such as that of a Chinese credit bubble,” Fitch said in a recent report. A Taiwan bank will need to run a representative office on the mainland for a year before it can upgrade it to a branch. After a year of profitable operations, the bank will be allowed to provide banking services in renminbi to Taiwanese companies. After two years it can begin serving non-Taiwanese clients.